What do you think of when you hear the word paradise? Maybe it’s white sandy beaches, with tropical palms swaying overhead. What about pink sandy beaches? There are many variations on paradise these days. With airfares lower than they've ever been, there's no excuse as to why you can't jet off to a faraway corner of the globe – even if it is just for a week or so. Let’s take a look at one corner of the world that is famed for its pink beaches and pristine coral reefs. You won’t want to leave. Where and What is Harbor Island? What is This Island Best Known For? 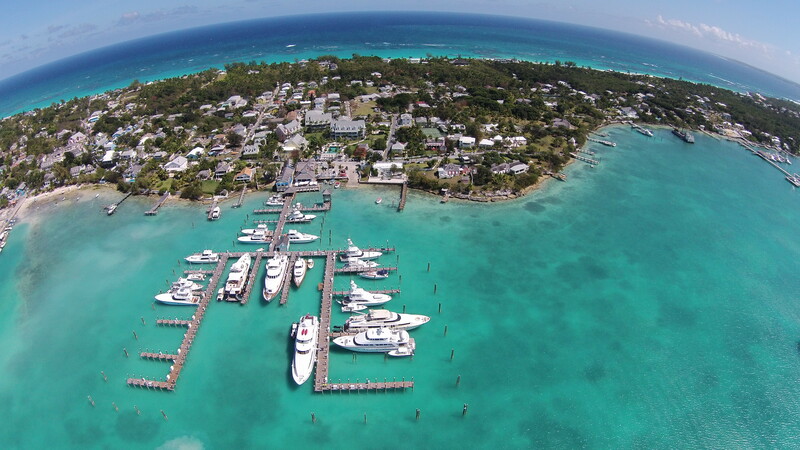 Harbor Island is affectionately known as ‘Briland’ by locals and visitors who just can’t seem to stay away. This tropical paradise is one of the most stylish and enjoyable islands located in the Bahamas. In fact, it’s arguably one of the best holiday destinations in all the Caribbean. Interestingly enough, however, there’s not a lot of it. At just 5km long and 2km wide it is, quite literally, a slice of paradise. Pink sandy beaches combine with timeless colonial houses to create an incredibly photogenic landmark that will make you want to fill up your camera roll. This small space in the Bahamas was once the national capital, but now, it’s a renowned tourist destination. From delightfully boutique hotels to suave French bistros and chickens pecking in the dust, there’s a beautiful balance between wealthy foreigners and care-free locals. Dunmore Town is located on the harbor side. This location goes back almost three hundred years when Lord Dunmore of the Bahamas had a summer vacation home here. While the sound of hooves on the pavement may have been replaced by the whir of a hundred golf carts whizzing around, not much has changed when it comes to the pace of life on this Island. So, what is all this talk about pink sandy beaches then? The rumors are true – yes, the sand on the shores of Dunmore Town is, in fact, pink. This is a defining characteristic that is unique to this part of the world, and a big reason why so many tourists make the trip every year. Why is the sand on the beaches pink, then? The answer lies in the ocean itself. There’s a micro-organism called foraminifera that has a reddish pink shell. This hue gets ground up with the rest of the shells to form the sand that you’ll find on the island. If you’re American, you’ve most likely heard of this tourist destination because it’s particularly popular in America. Interestingly enough, Harbor Island isn’t isolated. In fact, it’s part of a larger group of islands called the Out Islands, all found in the Bahamas. If you're wondering how on earth you're going to get to such a destination, let us enlighten you. It takes two forms of transport to land on Harbor Island. First, you take an airplane through North Eleuthera Airport, followed by a taxi ride on the water. Sybal's Bakery: Sybal's Bakery is an excellent option for breakfast if you want to try some of the local produce. Their grits and stewed fish will set you up well for a day out on the water or lying in the sand. A similar eatery is The Landing, where you can get delicious ricotta pancakes for brunch. Avery’s: while Sybal’s may ease you in gently to the local palate, Avery’s will throw you in the deep end. This food stop is not for the faint-hearted. We recommend trying the souse, which comes with your choice of sheep tongue, pig feet or chicken feet. Sip Sip: then next place to eat on our list is a great place to mix and mingle with the locals. You can get exciting menu items like the Lobster Quesada, and catch up on the local gossip while you're at it. The Queen Conch: eating at this next place will make you feel right at home amongst the seashells and coral reefs. The local's take on a standard salad is served in a giant conch shell, while hot green peppers may just make you dive straight back into the ocean. No matter where you eat, you can’t go wrong on Harbor Island. The same goes for enjoying the sand and ocean as well. There are a number of ways to do so, so let’s take a look. 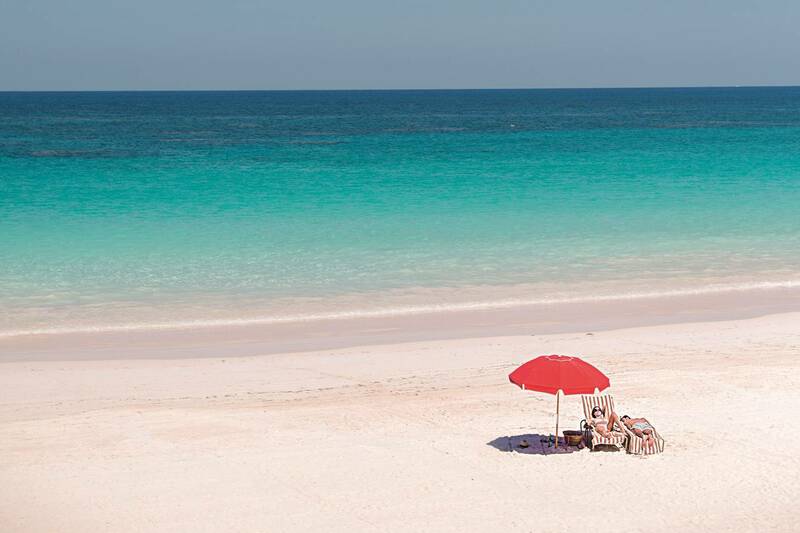 Our recommendations wouldn’t be complete without us reiterating how special it is to sit on a pink sandy beach. What’s more, you can swim off these beaches too. The water is lovingly gentle and consistently warm. If you’ve got an adventurous spirit and like the idea of adding a snorkel to the mix, you can rent snorkel equipment locally and wade right into the pristine bay. Depending on where you are along the coast, you may see some sea life. If you make your way to Bottom Harbor, you've got a good chance of spotting turtles swimming around, as well as a resident family of dolphins. If being on top of the water is more your thing, you can take a ride with Captain Bob Griffin who lives on Current Island, a stone’s throw away. He’ll take you out to find some conch or go spearfishing. Once you’ve finished on the water and have eaten your fill of the local fare, why not explore the Dunmore Town nightlife? Harry O's: if you're looking for somewhere to have your first drink of the night, we recommend giving Harry O's a go. It's on the more affluent side of town, which means you're likely to rub shoulders with ex-pat Americans and other tourists. Gusty's: the next port of call when it comes to enjoying a bit of the evening is a place called Gusty's. This is another spot that is popular among American tourists but also offers enough of a local feel to remind you that you're on vacation. Daddy O’s: Daddy O’s is an excellent way to finish the night off with a bit of energetic dancing. Because it is open right through into the early hours of the morning, you can make the most of your evening without having to rush back to the hotel. Gustie’s Hill: when in Dunmore Town, you want to do and see as much as you can. That’s why we recommend ringing in the new day with a brisk walk up Gustie’s Hill to watch the sun rise over the hill. It offers spectacular views of the island. If you fall into the shopping tourist category, you’ve come to the right place. Harbor Island is a haven for shopping. However, it’s worth noting that because of the upscale demographic that frequents this holiday destination, everything is expensive. Some of the larger resorts feature iconic boutique galleries where you can purchase accessories and clothing by some of the most famous fashion houses. Dunmore Town also has a unique and exciting array of souvenirs that you won’t want to miss out on. In fact, this tourists’ paradise is also known as the Nantucket of the Caribbean. This is because you can take a leisurely stroll throughout all the eclectic boutiques, wandering in and out of these colorful shops that sell one-of-a-kind treasures. The charming streets house curated shops that are surrounded by beautiful flowers. If you want to take a little piece of Harbor Island back with you, make sure to stop by A&A Hidden Treasures. They sell timeless keepsakes, including a silver plait bag. Whether you’re in Dunmore Town for your annual shopping spree or just want to pick up a small memento, there’s these and everything in-between amongst the famous colonial style stores. Making this small Caribbean island, your next holiday destination will give you exclusive access to some of the most unforgettable views in the whole of the Bahamas. When making your way to these pink sand beaches, there’s a good chance that you’ll rub shoulders with the rich and famous. Harbor Island is a favorite getaway that's frequented by the well-to-do. It's the epitome of a small slice of paradise and will make you feel like you're living someone else’s life for a little bit. From diving for conch shells to dancing the night away at Daddy O’s, you’re guaranteed to make the most of the best things to do and see in Dunmore Town.